5-star service with a smile!!!! Melissa, thank you so very much for this TERRIFIC review! We are happy to hear you're pleased with our service and hope to see you again soon! Love going in the store. Fun things to look at and everyone there is great! Scott, thank you so much for such an outstanding review! Our team strives to go above and beyond to provide a wide variety of quality products for each pet's specific needs and ensure an excellent experience for each customer! We're thrilled you're pleased with our service and hope to see you again soon! We appreciate this great review, Dee!! We are so happy to hear you have enjoy your visits. We can't wait to see you and your fur-baby again!! Patricia, thanks so much for the great review! Our staff strives to offer the best customer service possible! We hope to see you again soon! Tom, we are so glad you enjoyed your recent visit enough to rate us 5-stars. Our staff strives to provide the best customer service possible. Thank you, and we hope to see you again soon! Always great service & great deals on everything I need to keep my pup happy. Whitni, thank you so much for this marvelous review! Our staff seeks to provide the finest level of service achievable while offering our customers the best prices possible! Julia, thank you for your positive review. We are so sorry to hear that the time has come to say farewell to a four-legged family member. Saying goodbye to a furry friend is never an easy time. We have amazing staff that makes sure to handle difficult situations by showing the size of their hearts. From all of us at Hollywood Feed, our greatest sympathies for the loss of a friend. Incredible customer service! We just got a puppy and will be coming here for as long as it’s open. Thank you so much for your positive review! Our staff attends 40-50 hours worth of training on both products and customer service throughout the year to learn how to best serve our customers! It is always a pleasure to have such wonderful feedback! I am treated like family, given samples of new things to try, and my dog is too :). I will not go anywhere else. Denni, thank you so much for this amazing review! 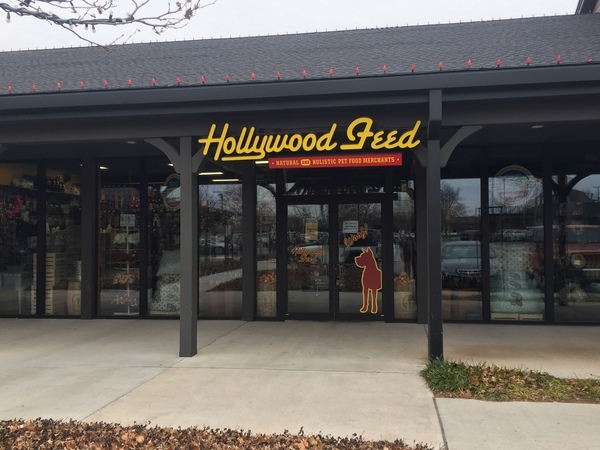 Our team works so hard to give each customer the best experience possible - and we are thrilled to know that you are part of the Hollywood Feed Family! Every visit is great!All employees are helpful,knowledgeable and courteous. Rachael, we are always excited to receive such an amazing review! Great customer service is always something our associates strive for and we are happy to have such great feedback! Wonderful, helpful and knowledgeable staff and great products. Kathy, thanks for the wonderful review! Our team works hard to provide the best experience for all of our guests!! We are so happy that you were pleased with your visit - and we hope to see you again soon! Super friendly and knowledgeable staff. It’s always a pleasure to shop there. Melissa is the best ever. We really appreciate her service, personality and knowledge. You have a gem. Margaret, thank you so much for such a glowing review! We are pleased to hear you have received such incredible service from Melissa! She is a valuable asset to our team and we will make sure to share your kind words with her! We appreciate this amazing review, Susan!! Come back and see us again soon!! Every person on staff is informed and really care about your fur babies needs....they are friendly every single time....happy!!! Christi, Thank you so much for the glowing review! Our team attends monthly training on pet products and nutrition so that we can better serve our customers and their furry friends, who often become just like family! We're thrilled to hear you are pleased! Love coming to this store as much as my dog does, always friendly helpful service that carries the products we like. My puppies loves this place. The people are so helpful and lots of times they give us samples so I could try it out. Most of the time my puppies loves the treats they give us and most of the treats I get there is healthy. Oh, I forgot to mention the toys are so cute. Kim, thank you for the fantastic review! Our team strives to always provide exceptional service and products to our customers and their sweet fur-babies! Please come back and see us again soon! Thank you so much for the 5 star review, Peri! We love offering amazing products for our customers and their furry friends! We hope to see you again soon! I love this store! They are always so friendly and helpful with anything I need for my fur babies. I will never go to a pet store that’s not Hollywood feed! Wow! Thank you for the absolutely incredible review, Lauren! We're thrilled to hear you're pleased and look forward to your next visit! Awesome store - knowledgeable ladies! Tom, thank you for the incredible review!